Although most of us have prolonged sun exposure during the summer months, sun protection should not be limited to June through September. Parts of our bodies still get exposed to the sun's UV the rest of the year, so it's definitely a good idea to keep sun safety in our minds. Even if we are not directly under the sun, several surfaces do reflect UV. While attending Expo West, I discovered KINeSYS®. Actually, I literally bumped into the booth, and was glad I did. I spoke with Jeff, the creator of KINeSYS®, and we had a brief conversation about natural sunscreen. He was a guest author on this blog and you can read his thoughts on organic sunscreen in the post Myths and Truths About Sunscreen. 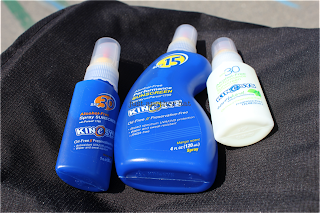 As you know, sun protection is something I take very seriously, so I couldn't wait to try the products. We have used KINeSYS® all summer, and continue to use it. I love it. I can actually say that it has become my favorite sunscreen for the family. The first thing you notice after you spray it is the scent. We received two bottles with a mango fragrance and one unscented. I typically avoid scented products but was okay with this one. Jeff sprayed a little of the SPF 30 on me at Expo West and I was surprised at how pleasantly it smelled. It isn't overwhelming and eventually goes away. In the past, I've used sunscreens with very high SPF, no less than 50. However, none of the KINeSYS® sunscreens are above 30. I was definitely concerned about the efficacy of the products. After using the sunscreens several times, I was convinced that a higher SPF does not necessarily lead to more protection. While using these products, I did not notice tanning on the kids or myself. 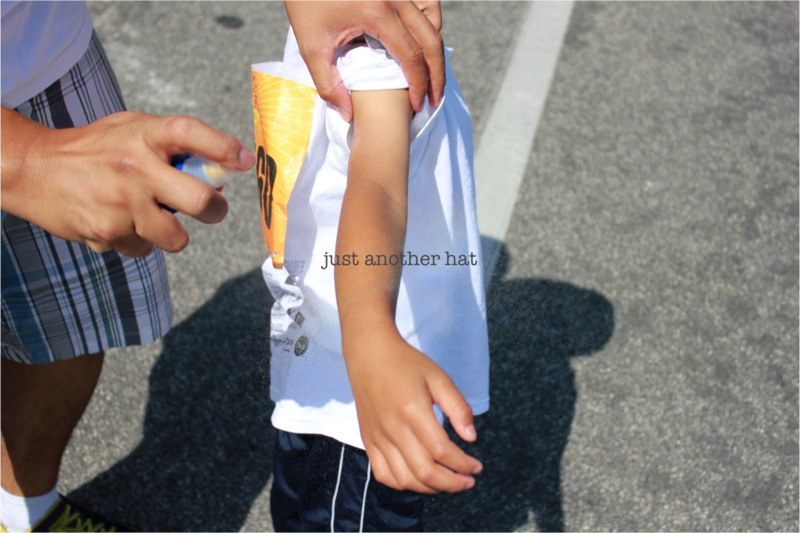 Yes, we reapplied, as we should with any sunscreen, but an SPF of 30 was definitely enough defense for us. I like that it's a spray. Honestly, it's probably why this has become my favorite. I don't have to fuss with an active 4 year old who doesn't want to stand still and wait for me to finish my job. I spray, rub a little, and let him go. It goes on clear with no residue and you can't feel a thing. It's not greasy at all like other spray sunscreens out there. I wear it on my face without fear of any consequences. However, I don't wear make-up, so I really can't comment on how well it does with make-up. I highly recommend KINeSYS® sunscreen during the summer and beyond. The company offers a wide variety of products for the entire family that is rated highly by the Environment Working Group. These award-winning sunscreens comes in a spray (1 oz and 4 oz), a stick, and ointment. All the products are oil and alcohol free and sweat and water-resistant. Connect with KINeSYS via Facebook, Twitter, and Pinterest.